1.6.0.0 (28.4.2016) Bidding strategy overhaul. Adwords API v201603 used. Added billing system (Orders page, Invoices, PayPal payments). Added current product name and remaining time info into header. 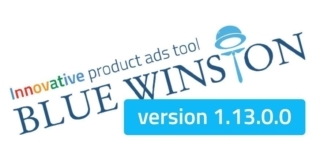 Added BlueWinston Agency offers page. Added All conversion value and Conversions info box on Dashboard. Product url utm_ parameters and ValueTracker parameters updated.